Frances Power Cobbe (December 4, 1822-April 5, 1904) was one of the most influential figures in the British Unitarian movement of her day. Although she lacked formal educational and professional credentials, she made her way among the leaders of progressive thought by sheer force of personality and intellect. According to Unitarian historian Alexander Gordon, "In detaching Unitarians from the older supernaturalism, her influence was considerable." In the wider community she was one of the foremost protagonists for the emancipation of women, educational and social reform, and a more humane treatment of animals. The family into which Frances was born had long been prominent in the Anglo-Irish establishment, having included no fewer than five archbishops. Her father, Charles Cobbe, owned a large estate outside Dublin and was known for his strict principles and concern for the welfare of his tenants. 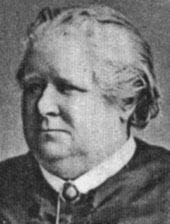 Charles and Frances (Conway) Cobbe brought up their children in a form of evangelical Christianity which their daughter later described as "mild, devout, philanthropic Arminianism." Frances was the youngest of five children, the others all being boys. Her education was private and informal, as was customary for girls, who were not expected to have a career of their own. Nevertheless her natural thirst for knowledge led her to read voraciously and deeply. When she was sent at 14 to a fashionable girls' boarding school for two years, she was desperately unhappy. She resisted attempts to turn her into a socially acceptable young lady. Sent into society as a debutante at 18, Frances was bored by the balls, and soon convinced her parents to agree to let her stay home. From 1838-57 she served as housekeeper of the family home, as her mother was an invalid. At the same time, she pursued her own studies in history, literature, geometry, astronomy, philosophy, and writing. Shortly after her return home from school Frances passed through a religious crisis which she interpreted as a conversion. She had begun to question some aspects of conventional religion, however. Her doubts multiplied over a period of four years, until, as she described it, her "efforts to believe in orthodox Christianity ceased altogether", leaving her with "a Tabula rasa of faith." "I was," she concluded, "an Agnostic." At the age of 20 she emerged from this period of "miserable mental conflict and unspeakable pain" through a transforming experience. One summer day she sat down in the sunshine among the rocks and gorse of the wilder part of her family estate. "While I was thus musing, despairingly, something stirred within me, and I asked myself, 'Can I not rise once more, conquer my faults, and live up to my own idea of what is right and good? Even though there be no life after death, I may yet deserve my own respect here and now, and, if there be a God, he must approve of me.' The resolution was made very seriously. I came home to begin a new course, and to cultivate a different spirit. Was it strange that in a few days I began instinctively, and almost without reflection, to pray again?" 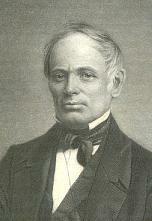 Around 1845 Cobbe became acquainted with Theodore Parker's Discourse of Religion. This book, which she described as "epoch making", helped her formulate a viable religion for herself. "The Discourse helped me most importantly by teaching me to regard Divine Inspiration no longer as a miraculous and therefore incredible thing; but as normal, and in accordance with the natural relations of the infinite and finite spirit." But Cobbe's new views were anathema in her home. When she proclaimed herself a Theist, her father retorted that this was simply a word in the dictionary, not a practical form of religion. In 1848, a year after her mother's death, her father banished her to a farm run by one of her brothers in a remote part of Donegal, where she continued her studies and corresponded with Parker. After ten months her father relented, and she returned to Dublin, though she remained "in a sort of moral Coventry, under a vague atmosphere of disapprobation wherein all I said was listened to cautiously as likely to conceal some poisonous heresy." When the rest of the family attended church on Sunday, Cobbe made the "old garden" her "beautiful cathedral". One New Year's Day she slipped away quietly to explore the Unitarian church in Dublin. "It was a pleasure to me", she wrote, "merely to stand and kneel with other people at the hymns and prayers." To her dismay, however, the sermon was a discourse on the precise meaning of a word in the Greek New Testament, read by the minister from an old printed book. She walked out and never returned. She spent three years working on The Theory of Intuitive Morals, 1855, in which she expounded the Kantian view that the moral imperative within one's own breast was independent of outward authority and tradition, and was in fact a proof of the existence of God. The book went through four editions during the next fifty years. On her father's death in 1857 Cobbe used her modest inheritance to make an eleven-month journey through Italy, Greece, Egypt, Palestine and Syria, defying convention by camping alone in the desert. She fell in love with Italy, returning there later for a number of protracted visits, on one of which she met Theodore Parker a few days before his death. She subsequently edited The Collected Works of Theodore Parker, 1863-71. While in Italy she also served as correspondent for the London Daily News. Not content with travel and writing, Cobbe felt she needed to be of more direct service to others. In her earlier years she had worked with the sick and destitute in the neighbourhood of her family home. Realizing that this had been done out of a sense of duty rather than love, she underwent another conversion experience. "Suddenly again", she wrote, "it came to me to see that Love is greater than Knowledge; that it is more beautiful to serve our brothers freely and tenderly than to 'hive up learning with each studious year'." Cobbe attempted to put this into practice in 1858. Her Unitarian friend Lady Byron introduced her to Mary Carpenter, who had established in Bristol a school for abandoned and delinquent children. As Carpenter's assistant, Cobbe strove for a year to match Carpenter's uncompromising dedication to this work, but it was too much for her health and she had to withdraw. Although already grossly overweight ("I could always entertain myself with my knife and fork!" she said), for a while she was able to continue with similar work alongside the daughter of the Dean of Bristol. After having given up her work in Bristol, and while recovering physically, Cobbe wrote Broken Lights: an Inquiry into the Present Condition and Future Prospects of Religious Faith, 1864, the most successful of her books. In this, an analysis of the response of religious institutions to social change, she critiqued the various forms of Christianity, including Unitarianism, and laid out a plan of her "Theoretic" and "Practical Theism." A few years later she wrote a sequel, Dawning Lights : an Inquiry Concerning the Secular Results of the New Reformation, 1867, speculating on future belief in light of new thinking in science and philosophy. In 1871 she compiled Alone to the Alone, a little book of prayers for theists. The Peak in Darien, 1882, was a defence of her belief in personal immortality. During these same years, while supporting herself as a journalist writing for the Echo, the Standard, and other papers, Cobbe began to work for social progress with her pen. From 1861 on she produced a steady stream of articles and pamphlets on the plight of the poor, particularly women and children, gathering her illustrations by visiting hospitals and poorhouses in England, France, and Italy. She took up the cause of women's suffrage, again defying convention by taking the chair herself at meetings. "Ours is the old, old story of every uprising race or class or order", she told her female colleagues. "The work of elevation must be wrought by ourselves or not at all." Cobbe focused on victims of abuse. "The part of my work for women . . . to which I look back with most satisfaction", she wrote in her autobiography, "was that in which I laboured to obtain protection for unhappy wives, beaten, mangled, mutilated or trampled on by brutal husbands." Her article, "Truth on Wife Torture", 1878, inspired a bill in Parliament which provided for the legal separation of wives from husbands who had been convicted of assault against them. During the latter part of her life it was the ill-treatment of animals that became the subject of Cobbe's campaigns. She founded organizations to abolish the practice of vivisection, directing her boundless energies to this cause. She introduced the broader issue of ethics into the relationship between human beings and animals. "Neither the Christian churches nor yet philosophic moralists have hitherto paid it sufficient attention", she wrote. "A sense of the Rights of Animals has slowly been awakened, and is becoming, by not imperceptible degrees, a new principle of ethics." In 1860 Cobbe met an artist who shared her concern for animals, Mary Lloyd, and their friendship rapidly matured into a lifelong lesbian partnership. They shared a home in London, and from 1884 onward in a village in Wales. While in London, Cobbe was a regular attender at the services led by James Martineau in Little Portland Street Chapel. Martineau she regarded as "my Pastor" and "my Captain". He had a similarly high regard for the contribution she was making to religious thinking, though it had reached a somewhat more radical point than his own. Her theism took her beyond Christianity as an historical religion; yet she paradoxically regarded human history as sharply divided into two eras by the coming of Christ. She was a firm believer in personal immortality, going so far as to assert that if this were a delusion, God is not just. Among Cobbe's friends were a number of other Unitarian ministers: Charles Beard, John James Tayler, William Henry Channing, and Martineau's successor, Philip Wicksteed. Her distinguished Unitarian lay friends included Anna Swanwick, with whom she worked on feminist issues, Mary Somerville, and Sir Charles Lyell. From time to time Cobbe preached in Unitarian pulpits, but it was through her writings that her influence was most felt. In addition to her published work, she maintained a lengthy correspondence with James Martineau, Charles Darwin and other leading thinkers of her day. There is a collection of letters to Cobbe written by Carpenter, Parker, Martineau and others at the Huntington Library in San Marino California. Letters from Cobbe can be found in many repositories including Dr. Williams' Library, London, England; the Women's Suffrage Collection, Manchester Central Library, Manchester, England; Vassar College Archives, Poughkeepsie, New York; and the Historical Society of Pennsylvania, Philadelphia, Pennsylvania. The records of the British Union for the Abolition of Vivesection are at Brynmor Jones Library at the University of Hull, Hull, England. In addition to the works mentioned in the article above, Cobbe wrote many books and pamphlets, including Criminals, Idiots, Women, and Minors (1869), The Hopes of the Human Race (1874), The Moral Aspects of Vivisection (1875), and The Duties of Women (1881). The principal source for information on Cobbe's life is her own autobiography, The Life of Frances Power Cobbe, by Herself (1894). A full-length biography has recently come out: Sally Mitchell, Frances Power Cobbe: Victorian Feminist, Journalist, Reformer (2004). There is an entry on Cobbe in the Dictionary of National Biography and a memorial address by J. Estlin Carpenter. See also J. Estlin Carpenter, James Martineau (1905); Raymond V. Holt, The Unitarian Contribution to Social Progress in England (1938); Richard D. French, Anti-vivisection and Medical Science in Victorian England (1975); Jo Manton,Mary Carpenter and the Children of the Streets (1976); Roderick Frazier Nash, The Rights of Nature (1989); and Adrian Desmond and James Moore, Darwin (1991). As Adin prepared to leave New York, the desperate Prince Street congregation prevailed on him to help them lure Hosea Ballou away from Boston. Adin thought his cousin's tough and devious manner in the salary negotiations inappropriate for a minister. Nor did he appreciate Hosea's wit when, in answer to a question about future punishment, Hosea replied, "So then, Brother Adin, you think they'll have to be smoked a little, do you?" 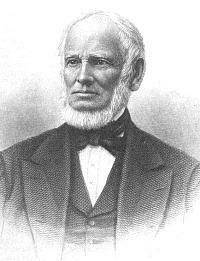 Adin's disillusionment with Hosea was compounded a year later when, at the New England Universalist General Convention, Hosea Ballou used his influence to preventDavid Pickering, an out-of-fellowship Restorationist minister, from offering a prayer. Afterward, Adin recorded in his diary his resolution "not to attend another convention of that sort." Ballou's Autobiography was published in 1896 and the History of Hopedale in 1897. The "Epistle General to Restorationists," from the Independent Messenger (January 1, 1831) is an important early autobiographical statement written close to the time of the events described. The controversy that followed between Ballou and Whittemore in the Messenger and the Trumpet also contains significant biographical material. Although there are no modern published biographies, Edward K. Spann'sHopedale: From Commune to Company Town, 1840-1920 (1992) treats Ballou's career in substantial detail.